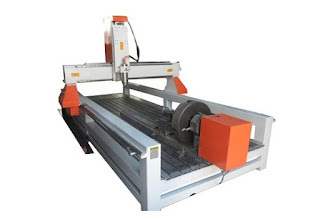 im cnc router manufacturer : How to deal with the problem of increased voice of CNC Router? How to deal with the problem of increased voice of CNC Router? In the normal use of the process of CNC Router ( http://www.roc-tech.com/product/product29.html ), if you find the CNC Router running sound bigger than before, this time we need to pay attention to the. Because the sound increases may mean a failure of a certain part of the machine. According to the use of the machine, the general sound of the parts of the increase is nothing more than a few places: the rotation of the spindle motor, rack and pinion gear meshing, sliding and the friction of the guide rail. After an abnormal sound, first look at the sound in general which is caused by. Spindle exception is relatively good judgment, as long as the opening of the spindle can be heard. This kind of problem is mostly the noise of the spindle bearing wear. The sound of it will be more and more serious because of the degree of wear and tear, and finally need to replace the new bearing. If it is a rack and pinion meshing problem, it is best to add some butter running back and forth several times, general this problem most is because machine daily maintenance caused by not timely, serious need to replace relief carving machine gear shaft. The slider appears to be a headache, it is generally difficult to determine the specific which is broken, we can according to the scratches on the track to judge.